The greats in any field have all had coaches throughout their careers, whether it was Michael Jordan and Phil Jackson, Wayne Gretzky and Barry Melrose, or Tim Cook and Steve Jobs, there was someone there to help the leaders of their worlds stay on top. Natural talent can take a person to great heights, but having someone that can see the potential and direct it towards achieving a higher goal can turn great into legendary. Being able to name coaching powerhouses in the business world is a bit more difficult than borrowing from the sports world, but the premise is the same. It clearly shows that even the most elite and high level players rely on the strategies and guidance that a coach has to offer, which makes it clear why executives should be making use of coaching. The role of an executive coach might be different than most people imagine. Coaching at lower levels generally means that they are acting as a mentor or trainer. Teaching the unknown things that a fresh face to a business needs to know. Executive coaches aren’t necessarily hired to train the leaders of the business, they are brought in to help executives see outside the box to tackle specific problems they may be facing. Executive coaches guide their clients towards the goals they are trying to achieve, without just providing solutions. The executives likely already have the knowledge and strategy necessary to be successful, but executive coaches provide feedback on the choices being made, or the planning process, to help fine tune the methods used to reach goals. Years ago, the executive coaches that existed in the modern business world, were brought in to target toxic workplace issues at the executive level and tackle them alongside the executives. As their value was taken notice of, the industry morphed to take on the responsibility of developing top level performers into better leaders for their business. The broad nature of what can be asked of a coach has made them more valuable, just as a multi-tool is more valuable than only having a folding pocket knife. Ultimately, what an executive coach does depends on what they are needed for and asked to do. Measuring the success of a coach can be difficult to quantify, unless they have clearly adjusted a business strategy that marks as a turnaround point for the business. Coaches generally provide feedback, by reviewing what they are working on with their client, but they are usually written in regards towards reaching specific long-term goals rather than incremental business outcomes. For this reason, it’s important to request that coaches show the changes they have helped bring about. If the coach is hired to assist a particular executive perform better, then the reports should highlight in what ways that executive has managed to change their behavior or the ways in which the confront their work. For coaches that are hired to help a business strategy, then seeing changes in output or performance at other levels should become apparent. If nothing is being seen then the business may not be receiving the value they were looking for. There are several strategies and specific areas that coaches are asked to work on to get the results that are wanted. The first of those areas, which has already been touched on, is improving the skills of an already high level performer. The ways in which a coach can do this are varied, but in most cases the coach should be targeting one or two things that the executive is weak on. 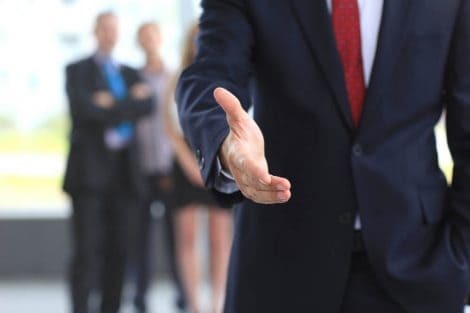 Along with coaching individuals for performance, executive coaches can also help with bringing in new executives that are either being promoted to the position or transferring in. Using similar strategies and feedback as what is done for high performers, the coach should be able to uncover and focus on improving the underdeveloped skills that other executives in the organization have already achieved. This can help the new member gain the knowledge they need, while already providing benefits from the areas they are strong in at the same time. Coaches can also be brought into the boardroom as a neutral party, that hasn’t been tuned towards the business’s ideology already, so that when ideas are brought up they can offer insight of someone from outside their world. A good coach will be able to work with either an individual or the full executive team to improve the way a message or strategy is articulated. By guiding the team, just as a sports coach guides their players, towards better execution of decisions it eliminates some of the obstacles that make running the business difficult. Just as working towards making boardroom decisions more concise and to the point strengthens a business, when an organization has decided to change directions having a coach on board during the process can make the turn more effective. Any business that doesn’t change with the times will eventually become obsolete. New business strategies are enacted every day, so it’s understandable that a business may need to steer onto a new course, and a good coach will be able to watch for missteps or obstacles that those that are running the business may become too busy to notice during the process. There are certainly many areas where a coach can assist a business, but it would be folly to forget that the coach is not a member of the executive team. Coaches are an outside source to be used sparingly, or a dependency may be built up around them. The goal of a coach is to get the executive they are working with on track to accomplish their needs. Once the coach has enabled the executive to overcome their weaknesses then they should be moved on to their next project. If the executive has not become more self-reliant then the coach is not succeeding with their goal. While continuing to bounce ideas off of a coach isn’t a bad thing, there comes a point when those ideas should be going to the other executives for their opinion instead. If the executive feels they need to ask the opinion of their coach before making every decision then that coach is ineffective. Coaches may not realize they have created a dependent dynamic. Monetarily wise, coaches remain on the payroll when the business thinks they are needed, so a coach that has made a client rely on them will continue to get paid. Unfortunately, dependency is a built in conflict of interest in the executive coaching world, so it’s important to bring up dependency issues and how they will be addressed before deciding to hire any coach. Coaches may be a good source of mental health support for their clients as they provide an ear that is paid for to be listening. However, coaches are not therapists and that is not what they were hired to do. Coaches are there to strategize and assist the business navigate into the future. Therapists help deal with the past and treating the effects of what has already occurred. Remembering that coaches aren’t there to provide treatment for wounds, that they are there to overcome obstacles standing in the way instead, is an important distinction. If at any time an executive that is being coached shows signs of needing help, it should be made clear that the coach is not there to treat any psychological health issues. Health issues should be referred to the proper medically qualified positions, and any coach that is not qualified to provide such treatment should make it clear that they can’t be relied on in that way. The decision to bring in a coach for an individual member of the executive team might come from an outside source, or it may be brought up by one of the leadership members. It might also be company policy to have coaching for new senior executives, and as such the expectation already exists. Regardless of the reason for why a coach is being considered, it is important that the person receiving the coaching must be allowed to choose the coach they work with. Forcing a coach on an individual that they are uncomfortable with, disagreeable with or simply don’t like will only ensure that the coaching experience fails to achieve its goals. Allowing the executive to choose their own coach from available options grants them some authority in the matter. Having good chemistry between the coach and their client will ultimately help provide a better benefit for the business. Along with being able to have their say in who the coach is, the executive must be willing to be coached. An obstinate or stubborn executive that refuses to include the coach in their decision making won’t be any better than they would have been without hiring the coach. Likewise, if the executive feels they are being forced into a coaching relationship that they were against could put up other roadblocks on the route to resolving problems that would never have existed without forcing the coach on them. To avoid issues such as that, be sure that the person that will be coached is ready and willing to accept a coach into their workspace. The methods a coach uses must be clear and concise before they are hired as well. Coaches all operate a bit differently, but they should be able to explain how they operate and what they expect to provide for the organization. Any coach that doesn’t provide a clear methodology upfront when they are asked about it will likely be a waste of business resources. Similarly, any coach that uses methods that may not work well for the industry the business operates within can also be more harmful than helpful. Choosing the right coach means choosing a coach that will work within the parameters their clients need them to operate in. Filtering options by credentials is also something that must be done to ensure the coach being hired will be of legitimate help. There are several certifying organizations for coaches that require some proof of being legitimate, however some of those certificates are dubious themselves. There are plenty of people that might try to pass themselves off as a coach, yet they have little or no experience in providing true coaching for others, so requiring they show some form of credentials, college degrees and former client feedback can save headaches from bad directions given down the road. Spending the time to investigate the backgrounds of proposed coaches will be well worth the extra time. Sometimes it may be more beneficial to hire a management consultant rather than a coach, so knowing the difference between the two will help narrow down the decision for which to hire as well. That begs the question, what do coaches and consultants do differently? Coaches are usually hired to work with one individual, while they may attend meetings as a sounding board, or they may work with other executives as well, they usually do that on an individual basis and they keep the work they are doing for each individual separated. Consultants are the opposite, they usually step into team roles and work in groups or they step into specific departments to assist the general workforce on a project. Consultants may be brought in by an executive or department head, but their goal is to help get more of the business working together in the right direction. Clients that hire coaches are expected to remain highly committed to that coach throughout the process of reaching their goals. The individual that needed the coaching must be ready to spend most of their time with the coach or working through strategies developed with the coach to improve their weaknesses. It takes a high level of dedication from both, the coach and the client to work closely together. Consultants are more likely to be set free to handle the job they were picked for without having much input from the person or people that hired them. Once the client has made it clear what is expected, then the consultant will operate freely but diligently to attain the targeted goal. The client should be free to go about their business without dedicating much time to the process of allowing the consultant to help improve the business. Coaches help with the strategy design, or by making it more concise, but ultimately the goals are achieved by the performer, not the coach. Coaches are a support system to build up skills that an executive needs so that going forward the executive will be able to make decisions on their own, and achieve their own specific goals. Consultants are brought in to help structure projects, and they are responsible for achieving the desired results. Where coaches support the performer, consultants are the performers that are being supported by the executive management. When a senior executive is looking for coaching, they are likely in search of help with setting values-based goals. This means that they are targeting things that improve their individual values, or that are targeted towards steering the business towards a particular belief in what the organization should stand for. Coaching helps develop the business ideology, so that it has a foundation behind the business model to stand on. Consultants focus on the performance goals of programs or how to best achieve targets with the funding available. They don’t shift the way the business thinks or operates as a whole, they try to shift the way things are done to continue to meet the business’s established doctrine. Coaches are judged on how they add to the strengths of their client. By focusing on making the executive they work with stronger, they build strength for the entire organization that will remain as a lasting presence. When consultants are brought in, it’s because a part of the system within the business needs tweaking. The consultants will be focused on problem solving, and fixing what is wrong rather than building a permanent overall strength. Once a consultant has helped work through a project, their work is done, and whether or not that remains a strength for the business depends on if they are repeating that project again. Coaches don’t usually supply answers, they are a guide to develop the necessary skills for a performer to find the answers on their own. Rather than telling their client what to do as an answer to their problems, they supply an answer to where new ideas might be found that can build the client’s ability to solve problems on their own after the coaching period is completed. Consultants are generally the experts in their areas of expertise, and when they are brought in, its so that they solve the problem quickly and efficiently. While employees will learn from the consultants on how they would best handle the situation, the consultants provide what they believe is the best option and just have it implemented, rather than just guiding the business to where an answer might be derived. Coaching is a long-term project, where the results are expected to take hold and be maintained throughout an executives tenure. Coaches may be brought in for extended time frames, or have their contract renewed multiple times as long as progress is being made towards what may be less tangible goals. Once a project is complete, then the need for a consultant has likely ended as well. When hiring a consultant, an organization is looking for a quick fix to a short-term problem. It’s unlikely that a consultants contract will need renewed after it has been completed. Many coaches come from psychologist backgrounds, and they are likely to focus on relationship driven answers to solving problems. This develops the ability for the client to rely on others, and to more successfully integrate with others on problem solving. Technical advice and solutions to the problem, without requiring the business or its employees to get entangled with each other, are what consultants bring to the table. They are unlikely to be concerned with improving relationships within the organization to solve problems, unless they are being hired to provide a solution to that particular problem. Coaches plant seeds with their clients that help grow in new directions to better handle the individual decisions that are necessary to keep the business growing as well. Coaching is designed to promote continued learning and progress after the coach is gone. Consultants harvest data and supply the information telling the business what needs to be done. After a consultant has discovered what the issues are, they root out the problem with their style of fixing it, hoping that the problem doesn’t grow back again, but also removing many of the learning opportunities that may have been present for the business to gain from. While there are other differences between coaches and consultants, that highlights many of the areas where they differ. The value of a coach comes in making the executive they work with a better leader, forging skills and abilities that allow them to perform with the best interest of the organization at heart. Management consultants have a clear benefit as well, when deadlines are approaching or when day to day problems need addressing, a management consultant can get the operation on track and resolve that issue in short order. While not all businesses may need the services of a management consultant, having executives experience coaching can steer any industry towards a better future under that executive’s newfound expertise. So long as executives are willing to be coached, then it makes clear sense that coaching should be an available option to explore.